The mouth is the window to your overall health. 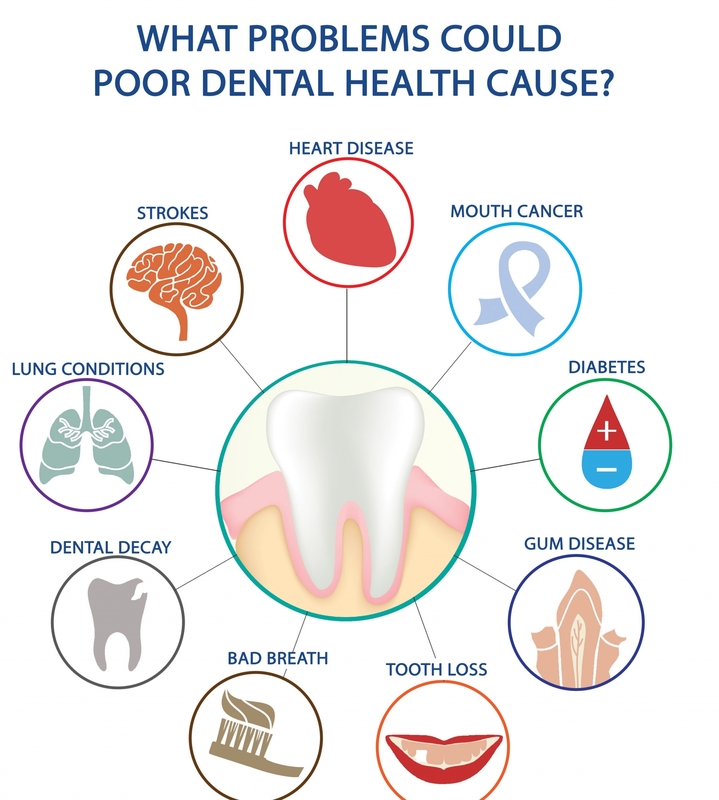 Poor oral hygiene can contribute to several diseases. There are more than 500 different types of bacteria in your mouth at any given time. If you don’t brush and floss regularly these bacteria star to form plaque- A sticky colourless film, it starts to build up on your teeth starting from the gingival margin. It irritates the gums causing gingival inflammation which is commonly known as gingivitis. If left unchecked it may cause a more severe condition called periodontitis and Trench mouth. – ANUG (Acute Necrotizing Ulcerative Gingivitis) also known as Trench mouth. Your oral health might cause a lot of complications in your body than you could realise. Some researches show clogged arteries, heart diseases and stroke might be linked to the infection and inflammation that oral bacteria cause. It is an infection of the inner layer of the heart called endocardium. Infection from other areas of your body or oral bacteria (bacteremia) enter the bloodstream and damage areas of your heart. Severe gum diseases can increase the risk of preterm delivery and giving birth to a low weight baby. The theory is, oral bacteria releases toxins that reach the placenta through the mother’s blood stream which hampers the growth and development of the fetus. Simultaneously the oral infections cause the mother to produce labor triggering substances that in turn leads to pre mature birth. If you have diabetes you already have a high risk of developing gum diseases. Oral infection may cause insulin resistance which disrupts blood sugar control. Brushing at least twice a day and flossing are very good habits to develop. Studies have also shown that people who do not brush teeth at night are more prone to developing diabetes. ProSmiles dentist based in Melbourne has a very holistic approach for dental problems. Teeth cleaning, scaling and deep scaling are procedures to secure your teeth and gums from plaque and oral infections. Resolve to a good oral hygiene every day. You are making an investment in your overall health not just for now but for your future, too.